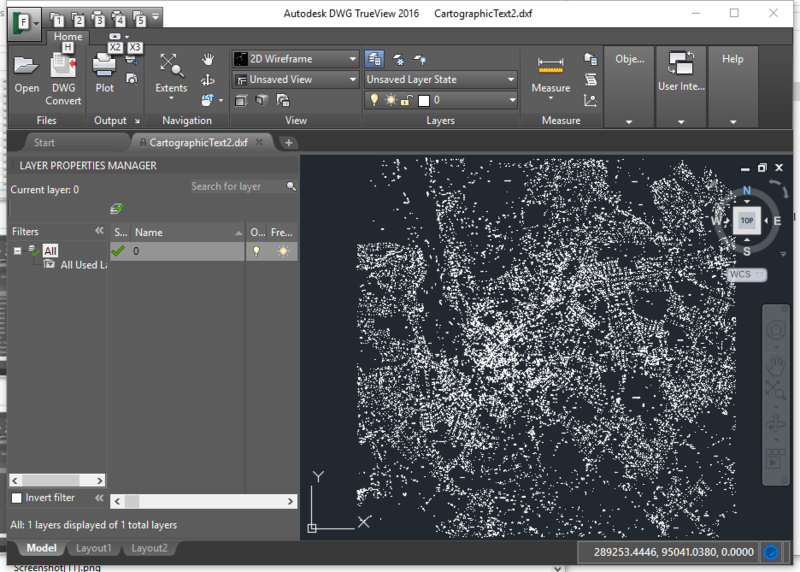 OS MasterMap has an annotation layer, which is simple to symbolise in a GIS program. But becomes more difficult in CAD software. With ogr2org, when writing a DXF file, if you have an input point geometry, which has an OGR_STYLE attribute, it will be written as a text geometry when opened in CAD. So for this we are primarily interested in “textString” and potentially “orientation”. Orientation – The orientation of text or symbol features for cartographic placement. This is measured in tenths of a degree anticlockwise from due east (0–3599). We can also take into consideration height as a multiplier. And “textString” stores the text itself. Since this is run in windows, through the regular console, the escape character for quotes is two quotes “”‘. So a combination on ‘ ” and “”‘ we can accommodate all the required quotes. Size: Multiplier of the height field, I am not sure what the units are, comments appreciated. This entry was posted in All, Data, GDAL, ogr on 11/02/2015 by Heikki Vesanto. But i get an Error because of quotes problem and about || sign. I didn’t wanted to change anything of your code thats why i also used the brackets with math operations as multiplication with 1. The orientation of my Text lables is ok and need no transformation. Do you have any hints or solutions for the problem? 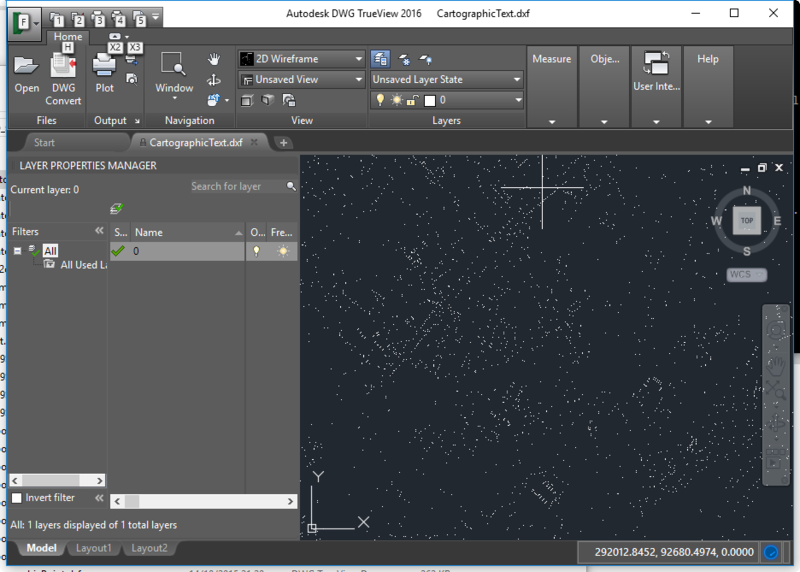 I am trying to convert annotation to dxf-file. 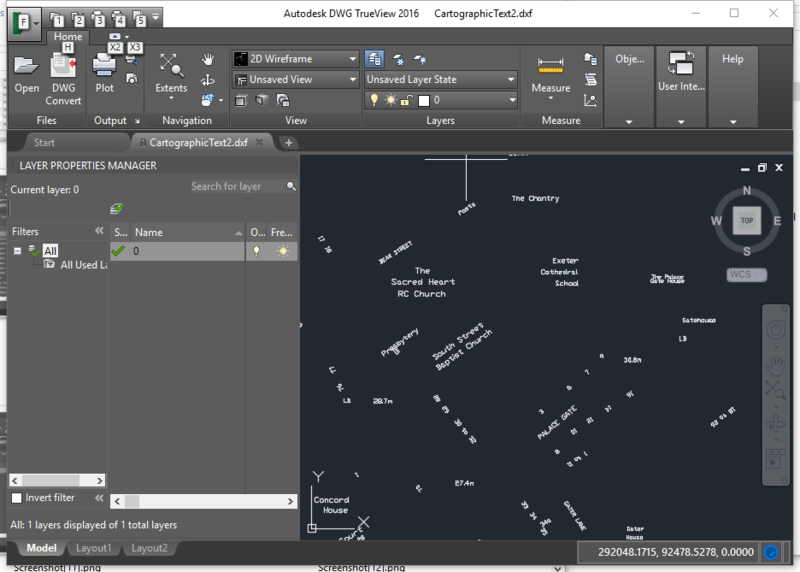 FAILURE: Couldn’t fetch requested layer CartographicText! 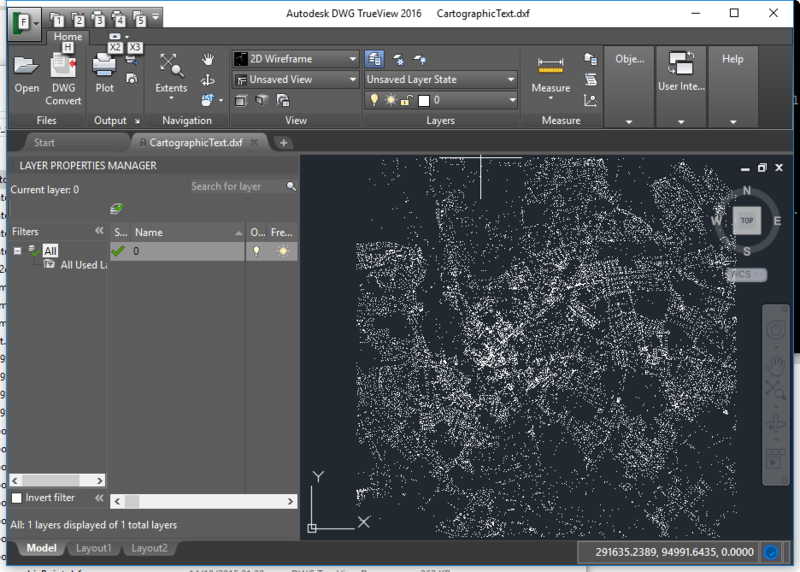 CartographicText is the name of the layer inside the Ordnance Survey MasterMap GML file. You need to specify the name of you layer. So try ogrinfo Nummer_beschriftung.gml and see what layers it has. Likely it has a layer called Nummer_beschriftung. If I was you I wouldn’t convert to GML at all, and just use the PostgreSQL layer directly. This is a wonderful tutorial, thanks for taking the time to pull it together. I would like to add multiple column features as mtext labels – do you have any ideas how this could be done?